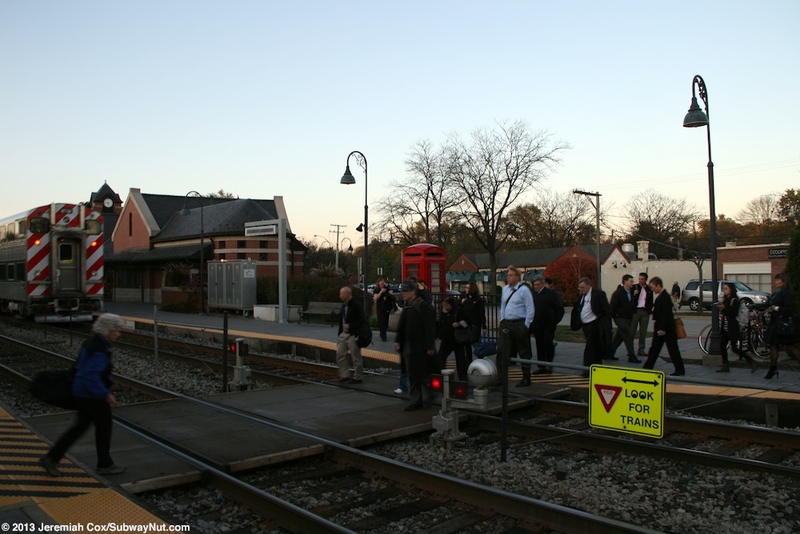 Glenview is the one intermediate stop within Metra territory in suburban Chicago and within Illinois on the Hiawatha Service as well as an on the Empire Builder (the Empire Builder operates discharge only southbound/receive only northbound with intermediate travel between Chicago and Milwaukee prohibited). 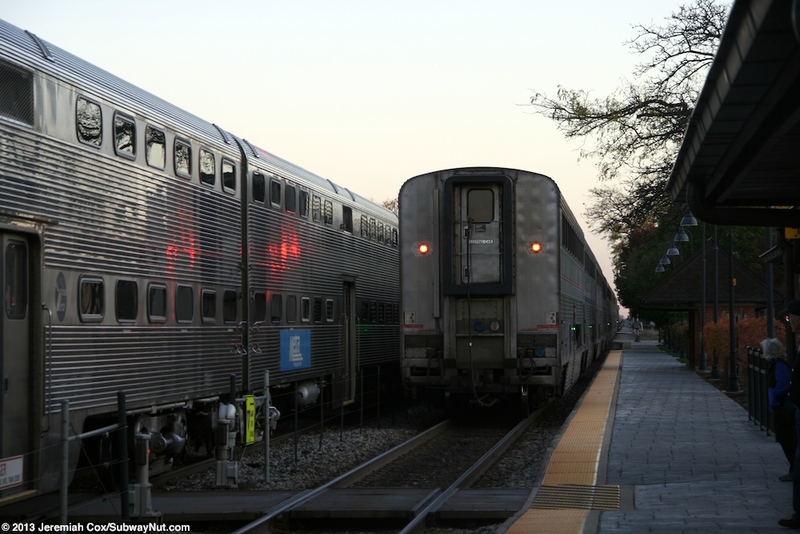 Intermediate travel between Chicago and Glenview is permitted on the Hiawatha although most commuters going to and from Chicago take Metra instead for half the price. 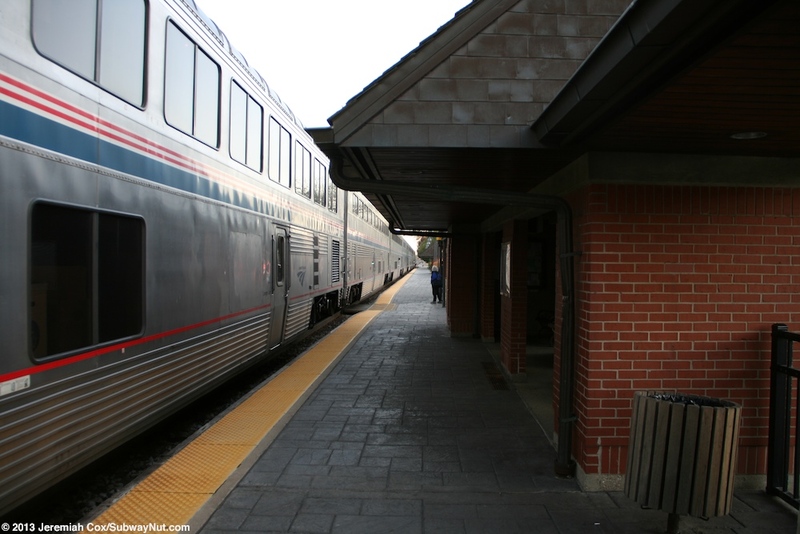 The station has been a stop on all Amtrak trains running between Chicago and Milwaukee since Amtrak began operations in 1971. 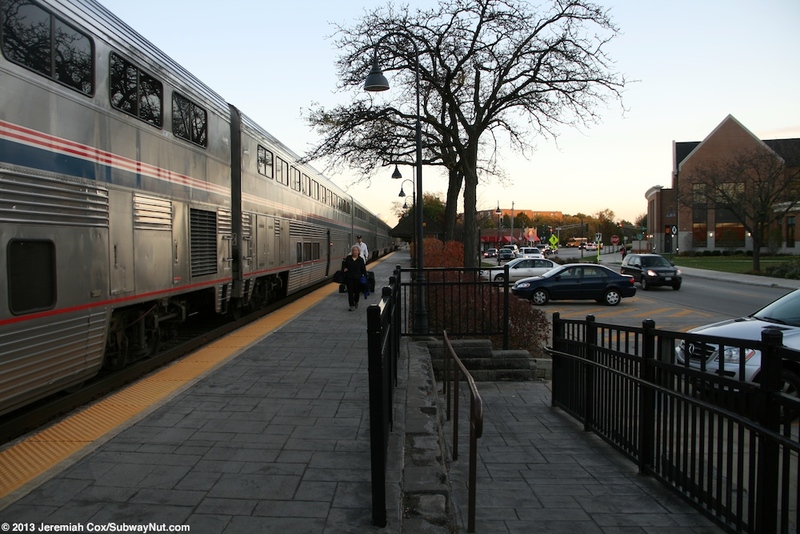 Discontinued trains that once stopped at Glenview include the Twin Cities Hiawatha, North Coast Hiawatha, and the North Star to Duluth (all running at points between 1971 and 1981). 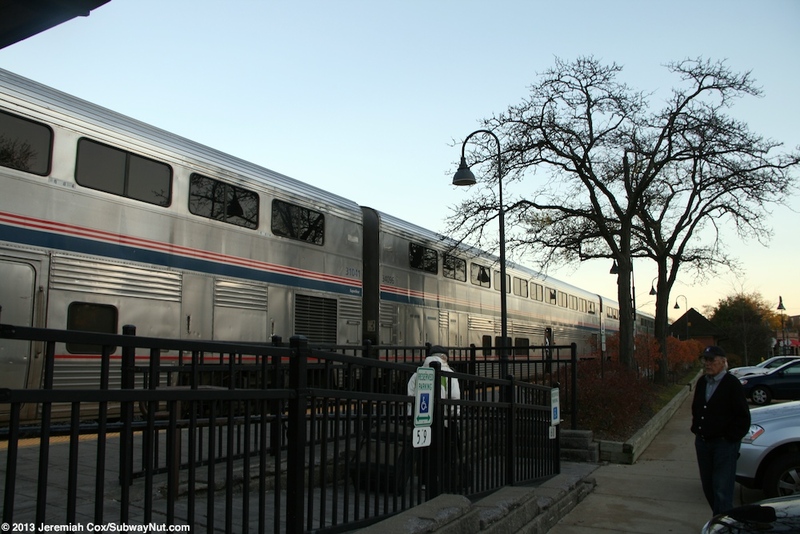 It was also a stop on the ill-fated Lake Country Limited than ran between Chicago and Janesville, Wisconsin between April 15, 2000, and September 23, 2001. 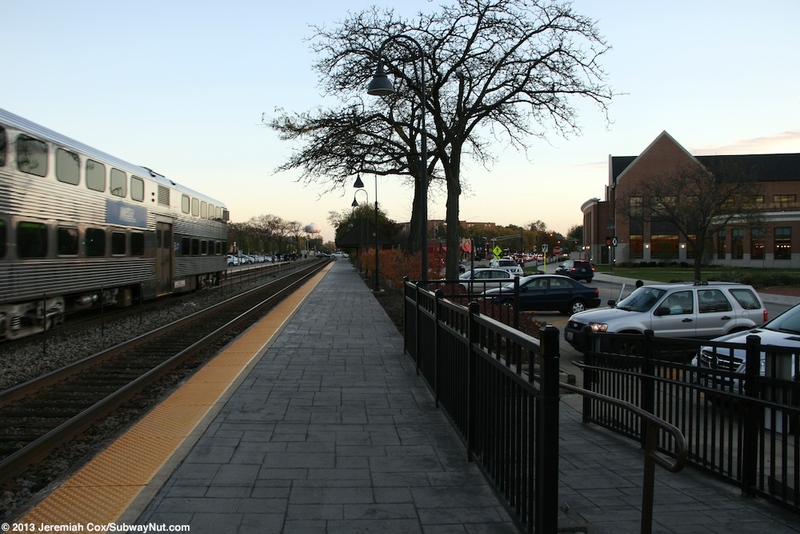 Although every Amtrak train stops a few Rush Hour Metra Express Trains do bypass the station on the frequent Milwaukee District North Line. 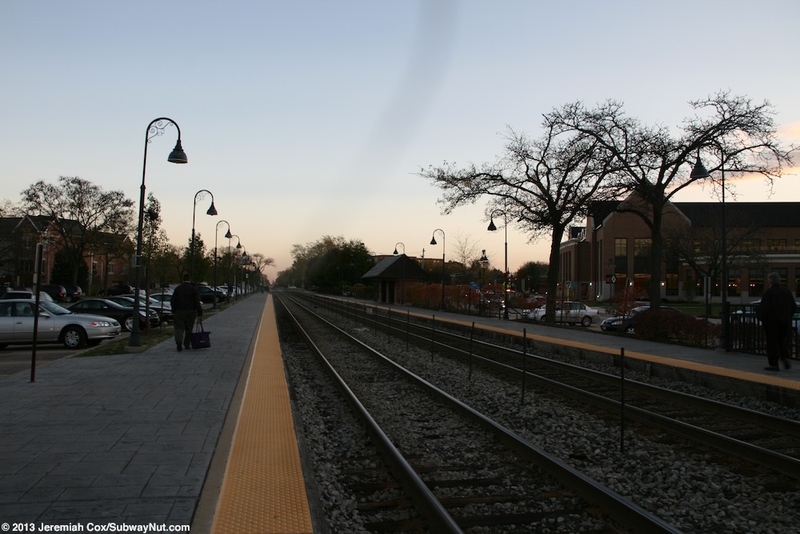 Metra has two tracks in this area and the station has two side platforms that begin at the grade crossing of Glenview Road and run north. Two mid-platform pedestrian crossings (with bells) let passengers cross the tracks without walking all the way down to this grade crossing. 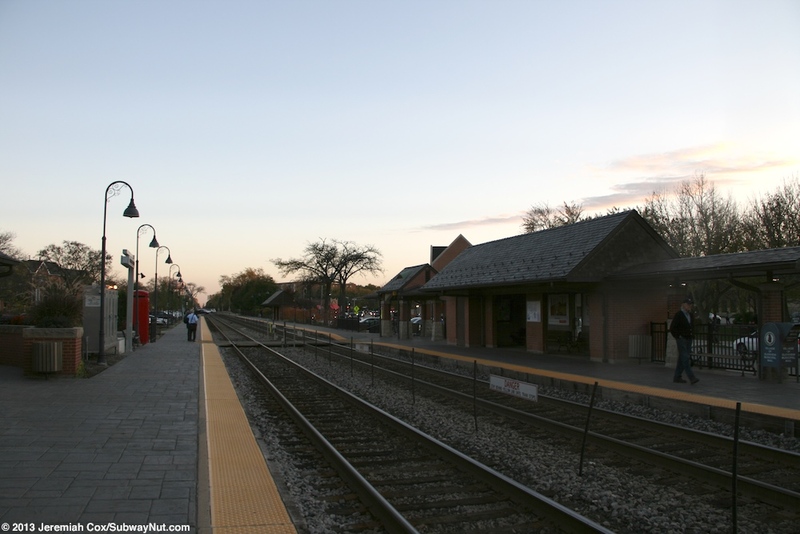 The station is located in the center of Glenview and Lehigh Avenue runs along most of the length of the northbound platform, with Depot Street running along the southern half of the Chicago-bound one. Parking is in lots scattered about the station, Amtrak claims there are just 4 parking spaces. 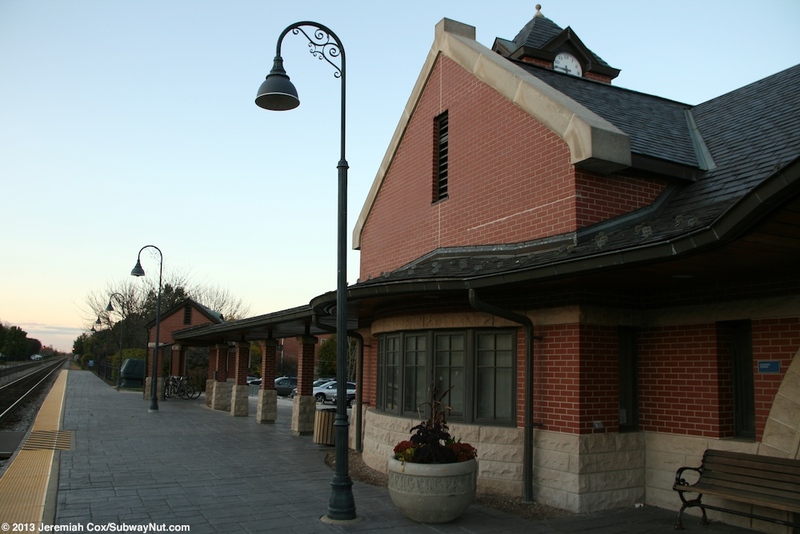 In the middle of the Chicago-bound platform is a modern but designed to look older is the Richardson Romanesque style station house. 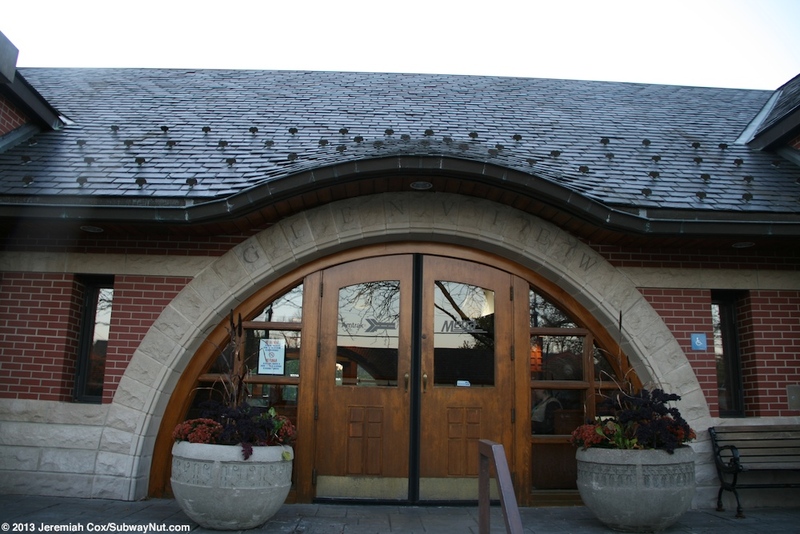 This building was completed in 1994, replacing a 1950s building. The building feels older. It is at the end of Grove Street that isn’t a through street but has sections on both sides of the train line with two sections. 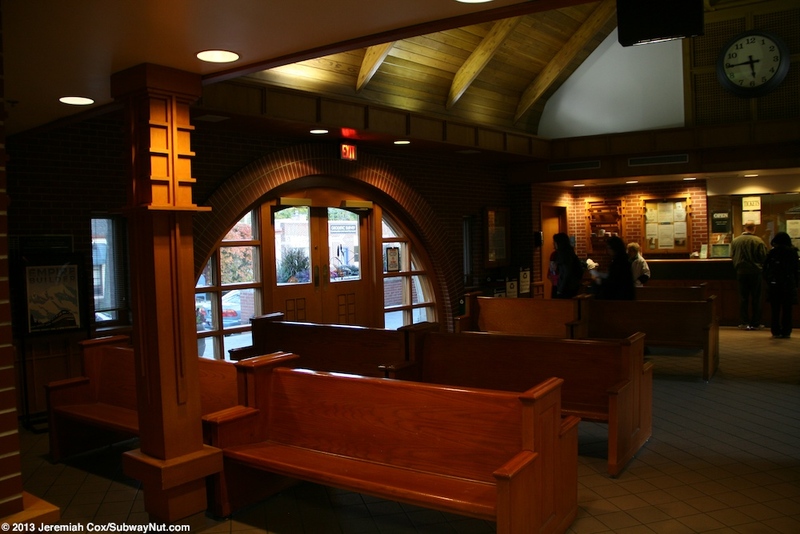 Inside the station house is a curved ceiling with a wooden roof and wooden benches. 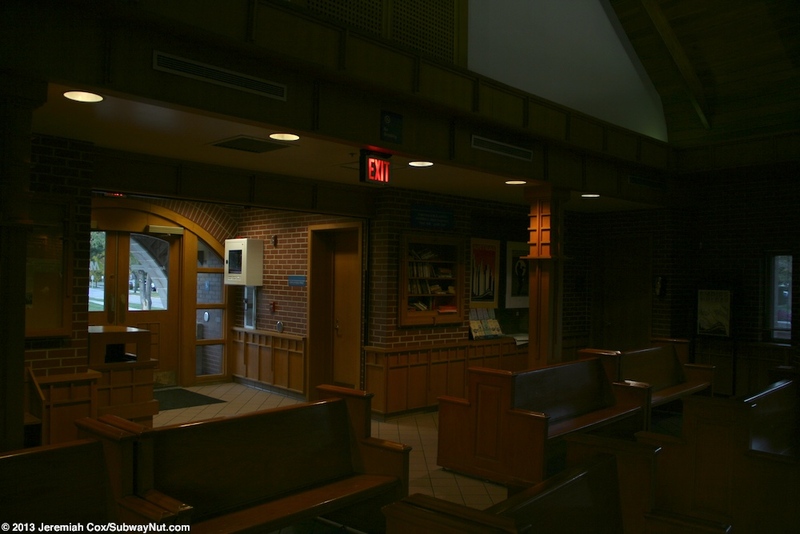 The lighting though is more modern. 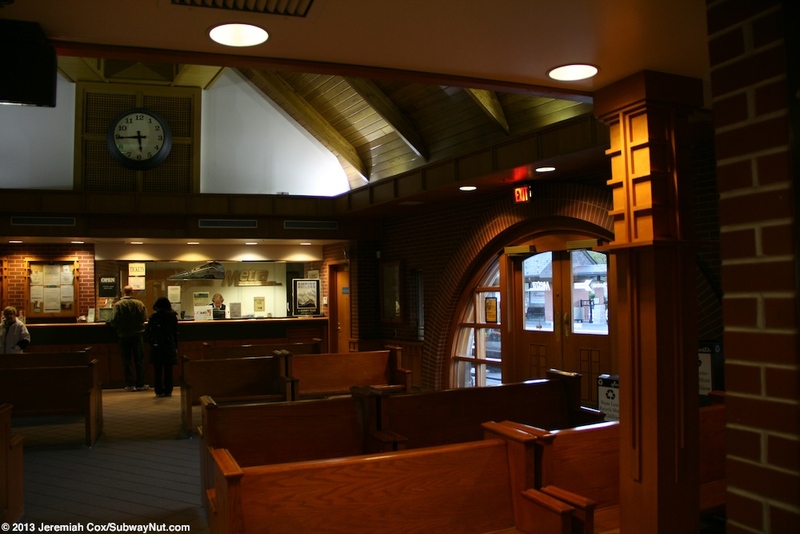 A ticket office is shared by Amtrak and Metra and is open at all hours of the day. 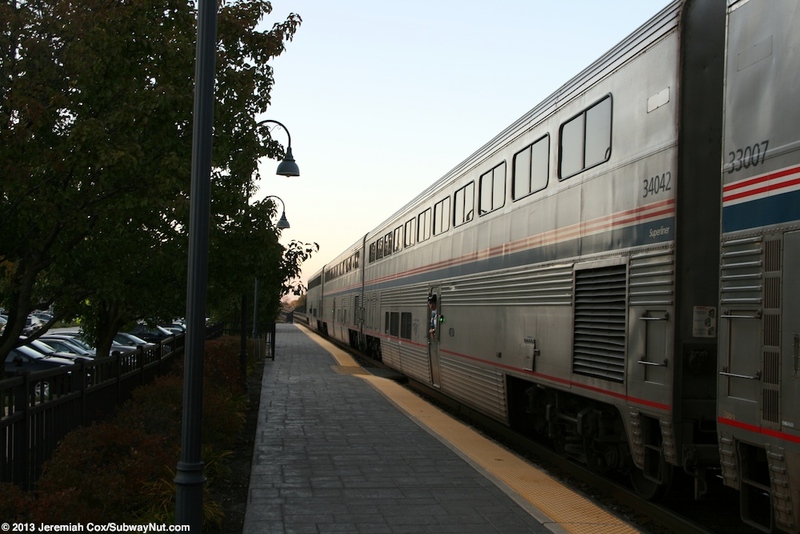 No baggage services are provided to Amtrak passengers. A small porch with brick pillars extends from the station house and also covers some bike racks. 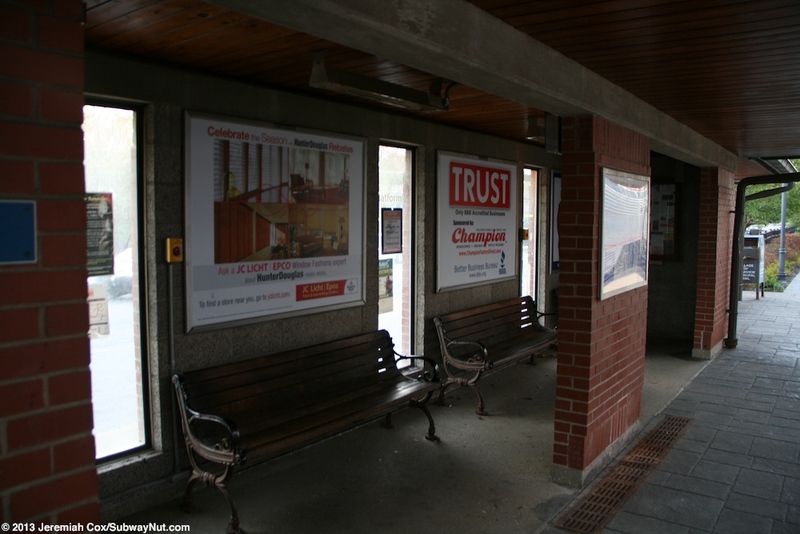 The northbound platform has a brick shelter in the same style of the station house for waiting passengers. 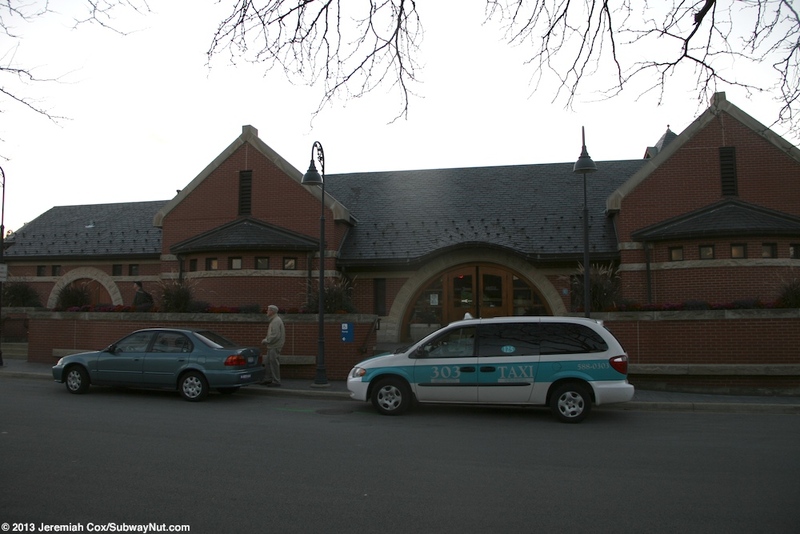 It covers about a car length and in the middle of it is a small, enclosed on three sides waiting area with heat lamps. 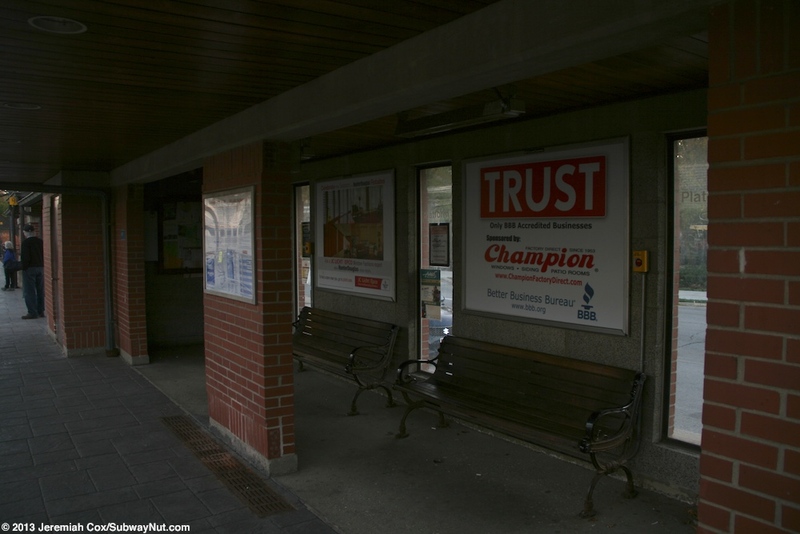 There is a second smaller shelter with just the partially enclosed waiting area towards the southern end of this platform. 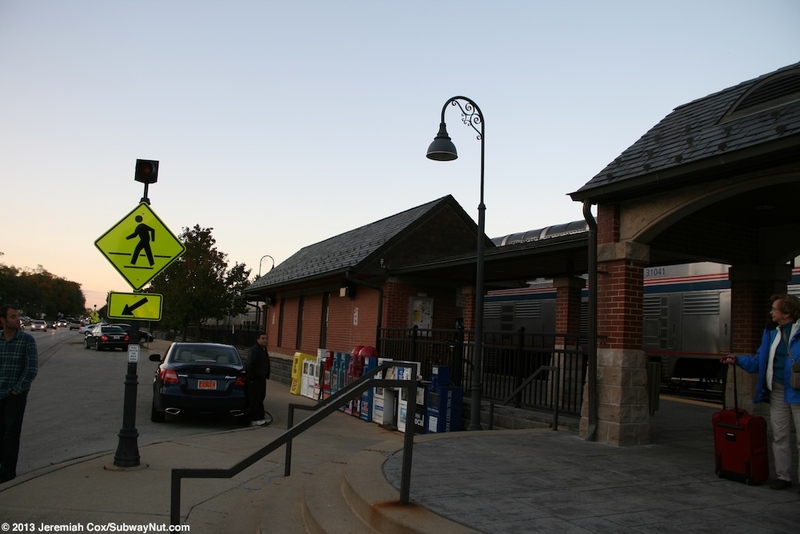 The station is fully ADA compliant for both Amtrak and Metra passengers. 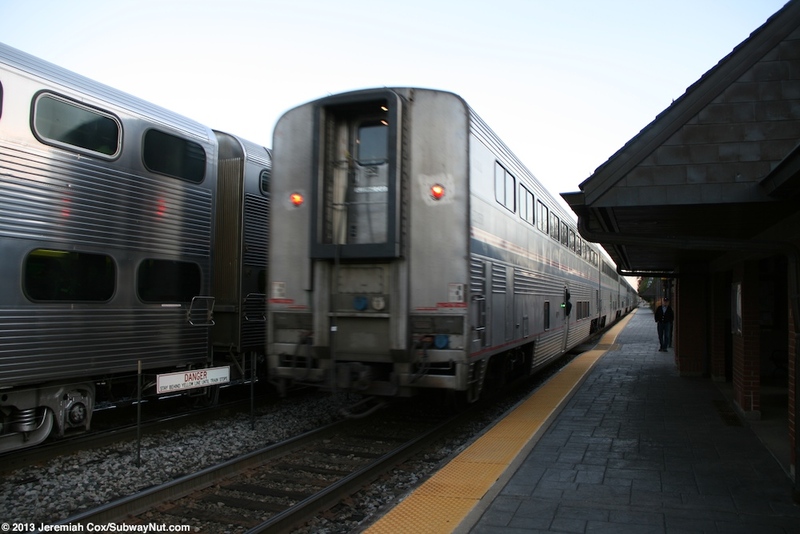 This means a mobile lift is stationed somewhere easily accessible from both platforms since Hiawatha trains use Horizon Cars with traps that require lifts from low-level platforms. 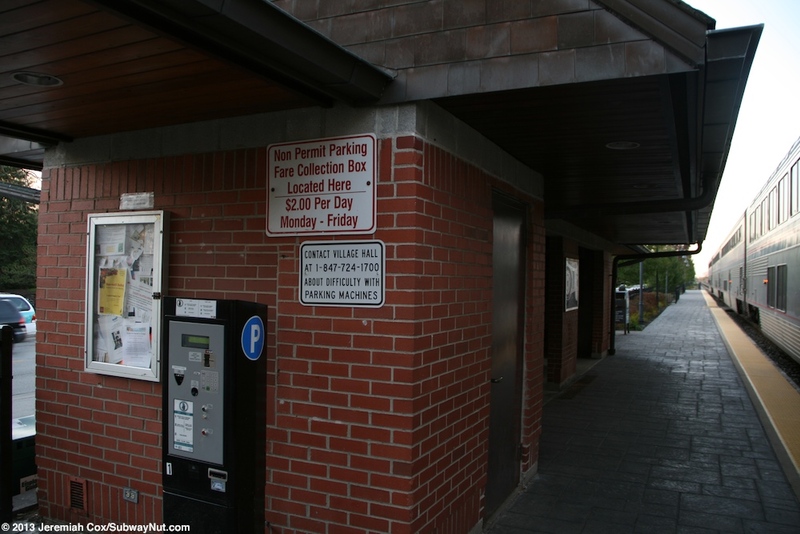 There isn’t an obvious wheelchair lift enclosure.